I have a 10' jon boat strictly for trapping. Guy before me painted it yellow and peeling bad. Going to pressure wash it to get the rest off. Is there a paint that sticks to aluminum boats ? Olive green/marsh brown would be nice. That way I could ditch it at nite without having to load back into the truck. Back in the '70s USN had us using Zinc Chromate Yellow to prime all our aluminum superstructure and gear. Also in automotive paints they use an epoxy primer. However the only real reason to paint aluminum is to give it color. Aluminum develops a coating of self-produced aluminum oxide that coats and protects it from corrosion. Not looking for protection just invisible to lurking eyes. 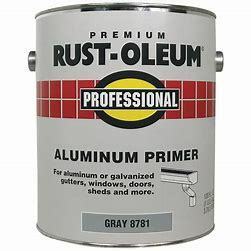 If you're pressure washing it down to bare aluminum, I would definitely prime it first before applying duck boat paint- a primer for galvanized gutters works well - or it will just peel off. 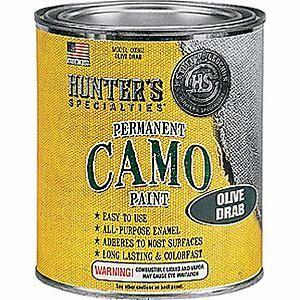 1)Prime- 2) paint olive drab- 3)stencil with spray bombs if desired. I painted my 14' Jon with paint from Cabela's (hunters specialty brand) Good Luck. It takes some sort of self etching primer to stick. There are numerous brands out there. I used white vinegar and a scotch brite pad on mine. Then I spray painted it with Krylon camo paint. Has held up well. Prepping the aluminum to start with Is Important. Like others said you need to use some type of acid to etch the metal before painting. If I remember I used a concert cleaner It's a mild acid to etch my boat before painting. Last edited by The Beav; 02/11/19 10:13 AM. 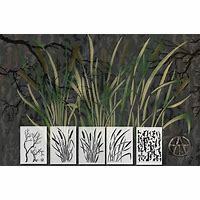 As you rinse the etching solution off the AL re-oxidizes from the water and air immediately. Clear so that you can't see it but guarantee it is there. Sand paper gives a rough surface for paints to cling to. And paint of any kind will make the boat more attractive to thieves, best way to hide it is to sink it. It used to take about five minutes to bail a sunken skiff when I was a kid on the river. I just used some top shelf on my old Jon boat. It's a combination of several colors left over from painting cars. It's been on there for 20 years but it's really faded out now. Just sand it good any paint will stick to it.